A proposal by Maui County Council Budget and Finance Committee Chairman Riki Hokama to reduce paratransit services by $1.3 million for fiscal 2019 is setting off alarm bells for hundreds of disabled residents who rely on the curb-to-curb bus service to visit doctors, get medicine and shop for groceries. Because the spending reduction would not fully fund a $3.5 million annual contract with service provider Maui Economic Opportunity Inc., the entire program is jeopardized next fiscal year, which begins July 1, said Don Medeiros, director of the county Department of Transportation. Also, without paratransit services, the county risks running afoul of federal rules tied to funding fixed transportation systems, like the Maui Bus, he said. 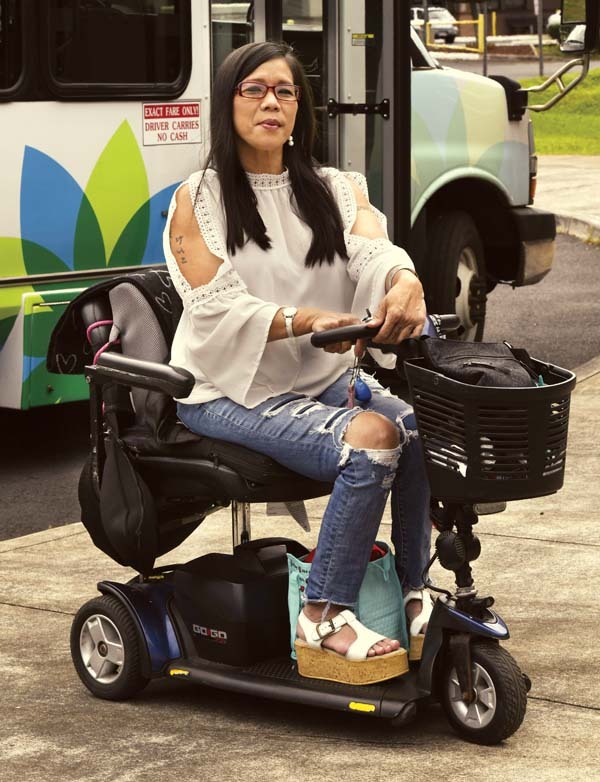 And that has dismayed people like Makawao resident Mahealani Bettencourt, who has been paralyzed from the waist down for five years and depends on the bus service around five times a week. Hokama was chairing a budget committee meeting Wednesday afternoon and was not immediately available to comment. 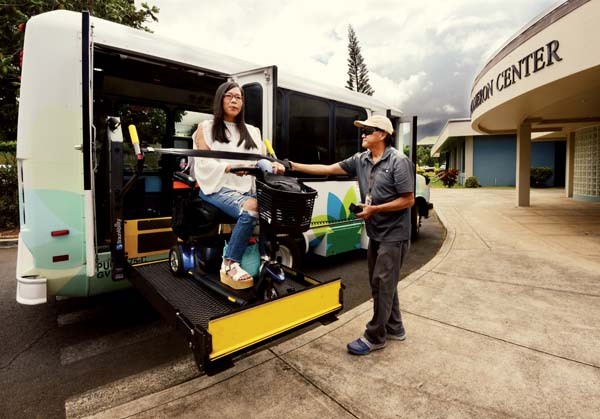 MEO has had the county contract to provide paratransit services since 2014 when it took over from Roberts Hawaii, which had run the program for the previous five years. The current five-year contract expires June 30. 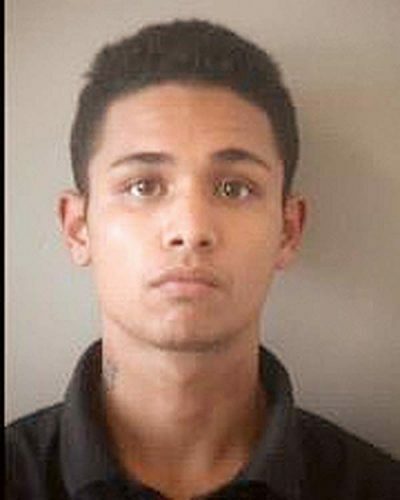 It has cost roughly $2 million per year, or $10 million, Medeiros said. The new contract also would be for five years, but its annual cost would be $3.5 million, a 75 percent increase. MEO operates 31 paratransit buses, he said. Under the new contract, the hourly billable rate would increase 36.6 percent from $55.62 to $76. The overall jump in cost also comes from a 25.5 percent increase in estimated annual billable service hours from 37,046 to 46,500, Medeiros said. On Tuesday, Medeiros appeared before the budget committee to request reinstatement of the $1.3 million cut from the administration’s proposed budget. Bettencourt said the stakes are high for paratransit riders. “That is not an exaggeration; that’s a fact,” she said, adding that the specter of possibly lost transportation services has been distressing. “It’s hitting people pretty hard,” she said. “It’s a support system that we all need. “They’re scared. They’re crying. It makes you so vulnerable,” she said. 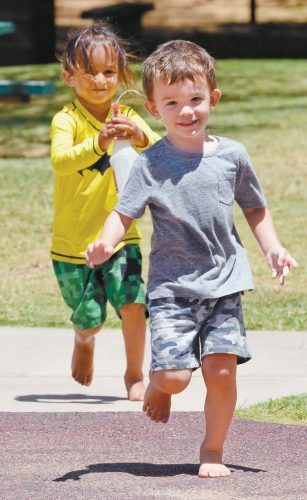 Bettencourt said she has a younger brother and a sister-in-law who live in Lahaina, but she can’t rely on them for her routine transportation needs. The public demand for paratransit services has been increasing, Medeiros said. The number of paratransit boardings has risen from 67,364 in fiscal 2015 and 72,550 in 2016 to 73,119 in 2017 — a growth of 8.5 percent from 2015 to 2017, according to department records. And, billable service hours have increased from 33,850 in fiscal 2015 and 36,170 in 2016 to 37,473 in 2017 — a 10.7 percent increase from 2015 to 2017. Department projections for this and next fiscal years show passenger boardings of 81,174 in fiscal 2018 and 87,300 in 2019; and they estimate that service hours will climb to 43,652 by the end of this fiscal year and to 46,500 in 2019. Bettencourt said she considers paratransit drivers to be part of her family. “These are the people, every day, that take care of us, get us to the places we need to go safely,” she said. While paratransit services might not be important for people who can jump in their cars and travel at will, “it is a big deal” for people who rely on it, she said. Even with paratransit rides, she must plan ahead, making a pickup appointment at least 24 hours in advance. Paratransit riders pay $2 per boarding and $4 for a daily pass, the same as regular Maui Bus riders. They do receive a discount on the monthly pass; paratransit riders pay $30, compared to regular riders, $45. Without paratransit, all of Maui’s bus services could be impacted, Medeiros said. “Federal law mandates that if an entity operates a fixed-route service, such as the Maui Bus, then there must be a complementary paratransit service,” he said. Brody McMurtry, business development manager for Johnson Controls, speaks to a crowd Wednesday afternoon during a celebration and blessing for a new solar panel energy contract on the campus’s Great Lawn. Lahainaluna’s Elijah Oliveira hits against the block of Maui High’s Rexie Butihi and Jon Anuese on Wednesday.